Prince and the Pauper, The (television) Three-part television show, aired on March 11, 18, and 25, 1962. Directed by Don Chaffey. 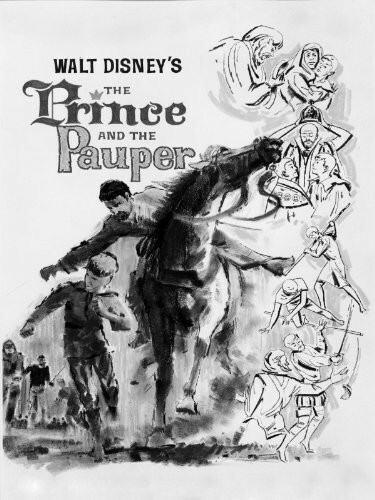 The three episodes were titled “The Pauper King,” “The Merciful Law of the King,” and “Long Live the Rightful King.” The classic Mark Twain story of the poor boy who trades places with the prince, filmed on location in England. Stars Guy Williams, Sean Scully (who plays both title roles), Laurence Naismith, Donald Houston, Niall MacGinnis.